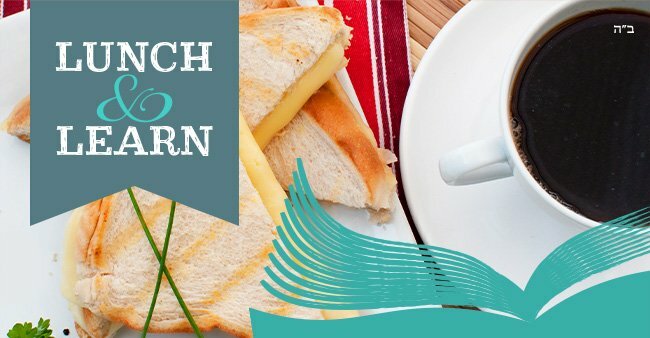 Come join with us, as we get together weekly for lunch and a Torah class. Our past semesters were wonderful, and we all appreciated the socializing and discussions over lunch, as well as the insights we gained during the learning portion. There is a small cover charge to help cover costs, but as with all Chabad's programs, financial difficulty should not stop you from joining. Cost is $12.00 per class or $70.00 per semester. Each Semester goes for 6 Mondays, from 11:30 am - 1:00 pm. Toddlers are welcome to come along and play in the playroom during the class. Lunch & Learn Dates: Oct. 15 - Nov. 3. Please email nfajnland@yahoo.com for more information or to let us know that we can look forward to having you join us for this wonderful opportunity!